Facebook has tightened up its privacy policies but users are still angry the company didn’t police use of its data more thoroughly. Facebook has had $US60.5 billion (£43.1 billion) wiped off its market cap since Friday, thanks to revelations that political research firm Cambridge Analytica illegitimately accessed user data through its platform. The issue stems from a controversial and now-defunct feature of Facebook’s developer platform, which allowed third-party developers to access not only user information through apps, but that of their friends. Thisisyourdigitallife was a kind of personality test which did exactly this, gaining access to up to 50 million people’s Facebook information, according to The Guardian. Cambridge Analytica struck a commercial agreement through an affiliate firm with Global Science Research to harvest and process the data from that app, violating Facebook’s terms of service. Most of this took place around 2014, and Facebook changed its terms in 2015 so that app developers on its platform couldn’t access to friends’ data as well as user data. On the current version of Facebook, there is an obscure setting called “Apps others use” where users can now control which information gets passed on to third-party apps through their friends. For the most part, though, if you use an app through Facebook, it no longer asks for friends’ information. Even with more granular controls, people are outraged their data may have been siphoned off in this way without their explicit permission, and that Facebook hasn’t done a good job of policing that over the years. 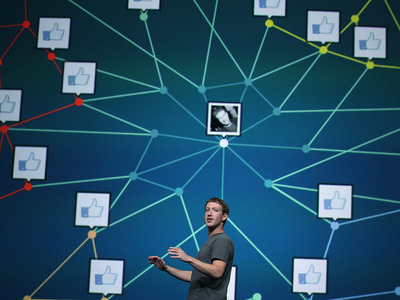 “Facebook Platform was the first time Facebook opened up its network, and what they began calling the social graph, to outside developers,” he explained. The developer said all of his apps had “significant traction” with approximately 3 million users in total. All were fun, playful apps like SuperPoke!. In the case of one app, he decided to conduct a “thought experiment” to see how easily users would grant access to their profiles. It didn’t take much persuasion. At that time, Facebook was pretty open with what permissions third-party developers could ask for, and didn’t properly tighten up its rules until 2015. That meant developers could ask for huge amounts of information, even when it wasn’t necessary to the core functionality of their apps. The developer used his app to ask for information such as the user’s location, gender, the amount of activity on their profile, their activities, birthday, interests, music, TV, films they enjoyed, books and any affiliations with a workplace or university. The developer didn’t store people’s data on his own servers, nor did he ask for permission to look at friends’ data. Even back then, that felt like a step too far. “It was a thought experiment for me to see how easily people gave that information up. I didn’t want the information – what could I have done with it?” he said. “I was very uncomfortable that [scraping friends’ data] was an option,” he said. “I disabled any third-party apps to gain that access from my friends. It was buried, it was two levels deep in the settings.